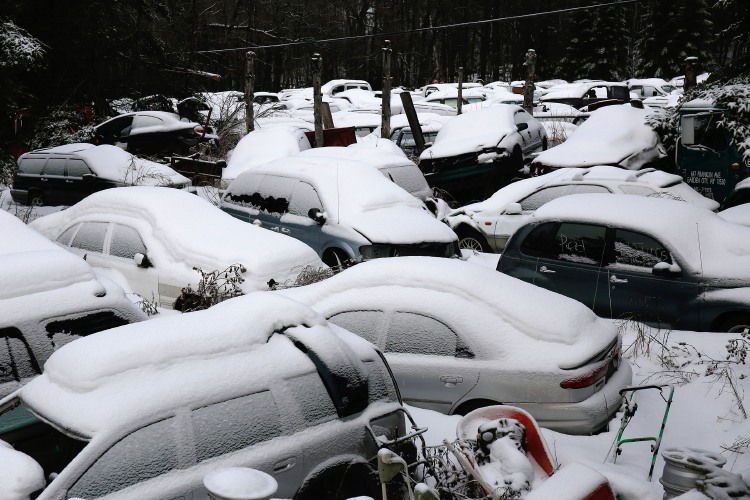 Some weather conditions can get pretty extreme in the United States, helping increase the number of salvage cars dramatically. The winter brings many factors to the table that help the number of salvage cars in the market up, specially hail damaged cars. Drivers worry about being stranded and crashing their cars on icy roads. Pile ups, unfortunately, are frequent during that type of weather. Hail and snowstorms can leave a trail of damages and hurt your car really badly. Total losses are not uncommon in these situations, where the car will be only good for certain parts. Sometimes, not even that. 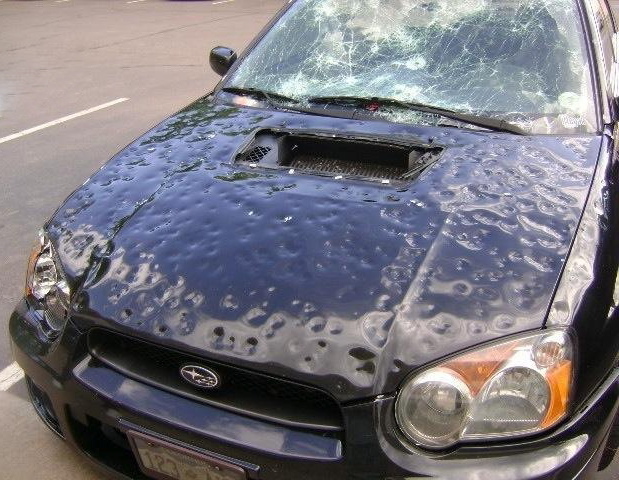 Hail damaged cars can help you save even more money if you decide to buy one. Of course, there’s no standard hail size. 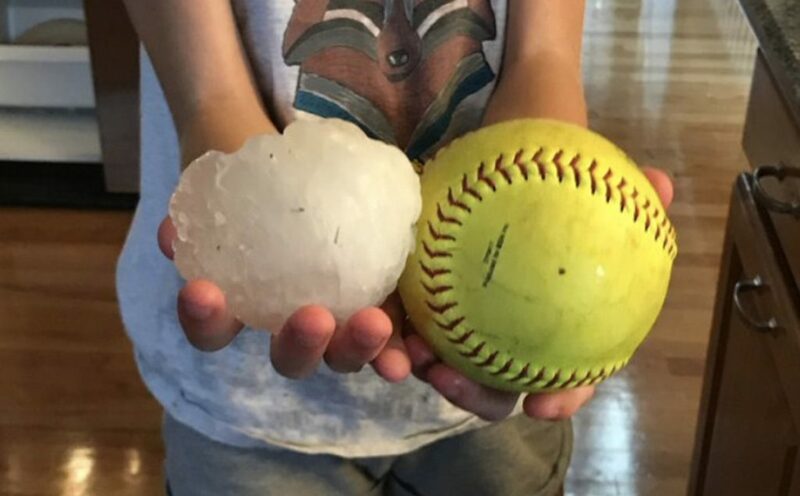 They can vary from tiny, golfball-sized hail to bigger sizes. The damage can be pretty small to huge dents all over the car. However, the interior (for the most part) can be left intact. So, as long as you don’t mind driving around with a car full of dents, you will be good to go. What Can I Do If My Car Was Damaged? But, interestingly enough, there’s a silver lining. Some insurance companies will try to cut their losses, sending cars in good shape to salvage yards for parts. If you come across one of those, you will be getting a perfectly functioning vehicle for a fraction of the regular price. However, bear in mind that those cases are rare. They are the exception, not the rule. Also, some customers will go ahead with the repairs, even when the insurance company recommends them not to. The owners will buy the cars back from the insurance companies to retain their ownership. They don’t want to go through all the trouble of buying a new car and have new car payments if they don’t have to. So they fix their old cars instead. If you are not the owner of a hail damaged car but want to buy one, you will save a lot of money. Salvage car brokers online will help you find a good hail damaged car for cheap. There are thousands of options out there! You just need a little bit of luck to find the perfect one for you.